Iran completes forty years to its revolution this month. The 40-year history of the Islamic Republic of Iran is nothing but a history of defiance to the hegemonic world powers that have always remained hell-bent to suppress nations and people who aspire to stand on their own feet. In light of the fate that befell many leaders in the Middle-East who challenged those powers that resorted to exploit natural resources of their countries, the post-revolution Iran’s survival for 40 years and its march forward without giving in to the wishes of those powers, are attestations to the political and diplomatic maturity of the Islamic Republic’s leaders and the unwavering support extended to them by the Iranian people. It is not our objective to portray Iran as a perfect country in every aspect. Yet, its influence along with that of countries like China and Cuba in striking a balance in world politics after the collapse of the Soviet Union cannot be ignored or suppressed. The significance of these countries in an almost unipolar world is that they come forward to assist the countries that are targeted by the Western powers at world fora such as the United Nations Human Rights Council (UNHRC). The Republic of Iran has not only survived many an odds such as endless sanctions, coups, assassinations of leaders, insurgencies by various groups, military provocations and even the longest war in the world in the twentieth century, but managed to emerge as a regional power that has to be reckoned with. 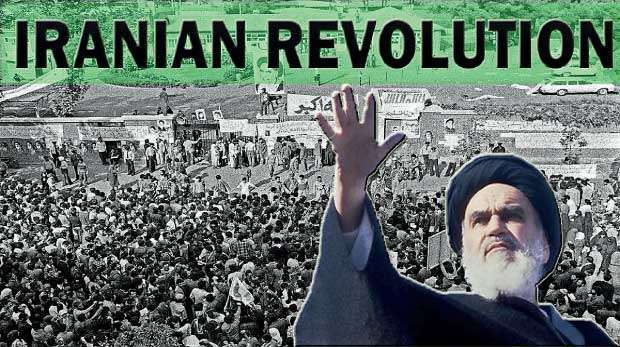 The 1979 Iranian Revolution was a revolution in essence. It was not a coup by a small group of politicos or military personnel; it was rather a mass uprising by millions of people guided by Imam Ayatollah Khomeini who had no vested interests in the struggle. His simple lifestyle was testimony to his honesty towards his struggle. The Iranian Revolution transformed almost all facets of the Iranian society, politics, economy, culture, education, sports, arts and so forth. It introduced a government elected by the people, instead of a despotic and ruthless monarch, the Reza Shah Pahlavi. And the establishment of the Iranian Republic in place of the monarchy was endorsed by a thumping 98.2 per cent of voters at a referendum held on March 30 and 31, 1979 – 50 days after the overthrow of Shah’s regime. Yet, the Western powers that protected the Iranian monarchy and still acts hand in glove with the military rulers across the world call the Iranian Government dictatorial and have been involved in various conspiracies against the Iranian Republic to date. The pinnacle of these conspiracies was the bombing of the young Iranian Prime Minister Mohammad Javad Bahonar’s office on August 30, 1981, during the initial years of the Islamic revolution where besides Bahonar, the country’s President Mohammad Ali Rajai and six other senior officials were killed. The briefcase bombing came two months after another massive and savage attack; Hafte Tir bombing which killed over 70 senior Iranian officials including country’s Chief Justice Mohammad Behesti, the then Iran’s second highest official. Ironically, no Western power called these bombings terrorist attacks. Iran faced these attacks during the initial years of the eight-year war triggered by the invasion of Iran’s oil-producing border region, Kuzestan by Iraqi forces led by Saddam Hussein who was then backed by the Western powers. The young revolutionary Iran after eight years agreed to the ceasefire proposed by the UN only after its forces managed to push back the invading Iraqi forces which were supported by some other oil-rich countries besides the Western powers, to their original positions. Economically, the revolution put an end to the exploitation of the country’s oil resources by the Western companies by nationalising the oil industry and diversified the economy with a view to ensure economic independence of the Iranian people. This is the thorn in the flesh of the hegemonic world powers with regard to the Iranian revolution. They wouldn’t have found terrorists or fundamentalists on Iranian side, had they been allowed to plunder the region’s second largest oil reserve that lies under the Iranian soil. It is vividly evident that the economic independence established by the Islamic revolution was the strength of the country to face the unending sanctions by world powers against Iran, since the overthrow of Shah, under various pretexts. The sanctions, alienation or isolation by the hegemonic powers have failed in compelling Iran to submit. Today, Iran tops the region in education for both men and women with its chain of universities and higher education institutions, and it is in the forefront in the technological field. Currently, a million students are studying medicine at Iranian universities. The 5,000 maternal deaths for 500,000 births before revolution have dwindled to less than 300 deaths for 1.2 million births in 2016. In the same year, Bloomberg News had ranked Iran as the 30th most efficient healthcare system ahead of the US and Brazil. And the very US-sponsored sanctions against Iran are testimony for the defence capability of the country. These factors indicate that the Iranian revolution is in fact a revolution in essence, despite the country being not perfect in all aspects. Iran has been a friend of Sri Lanka throughout the latter’s difficult years, especially during the war against the LTTE.